Just in time for Hatred, an upcoming video game about a dude who goes around and mindlessly slaughters everyone, the video website Twitch announced last night that users will no longer be able to stream games rated Adults-Only by the ESRB. 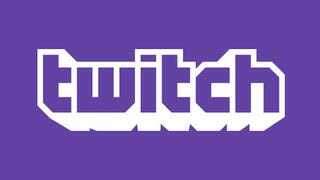 It’s a curious move by Twitch, which was purchased last year by Amazon for $970 million. Although in practice this ban will have very little effect—very few games actually get an AO rating—it’s clearly designed to prevent people from streaming Hatred, which comes out tomorrow for people who pre-ordered (and next week for everyone else). Hatred has drawn an inordinate amount of media attention for its shock value, but it’s also become something of an icon for those who have strong feelings about censorship, especially after Valve (briefly) pulled the game from Steam last year. Clearly, Amazon and Twitch don’t want to deal with whatever controversies or consequences may arise from users streaming a mass murder simulator. Curiously, the ESRB’s website has no listing for Hatred, although the game’s developers said earlier this year that it had received an AO rating.